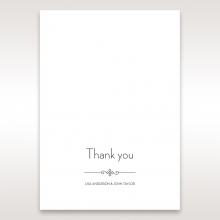 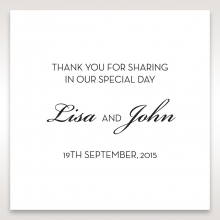 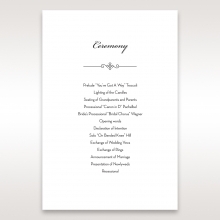 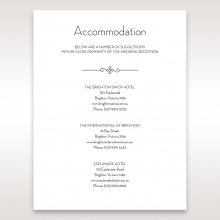 Designed especially for weddings, this stunning card is also ideal for other special ceremonies - cocktail events and professional celebrations. 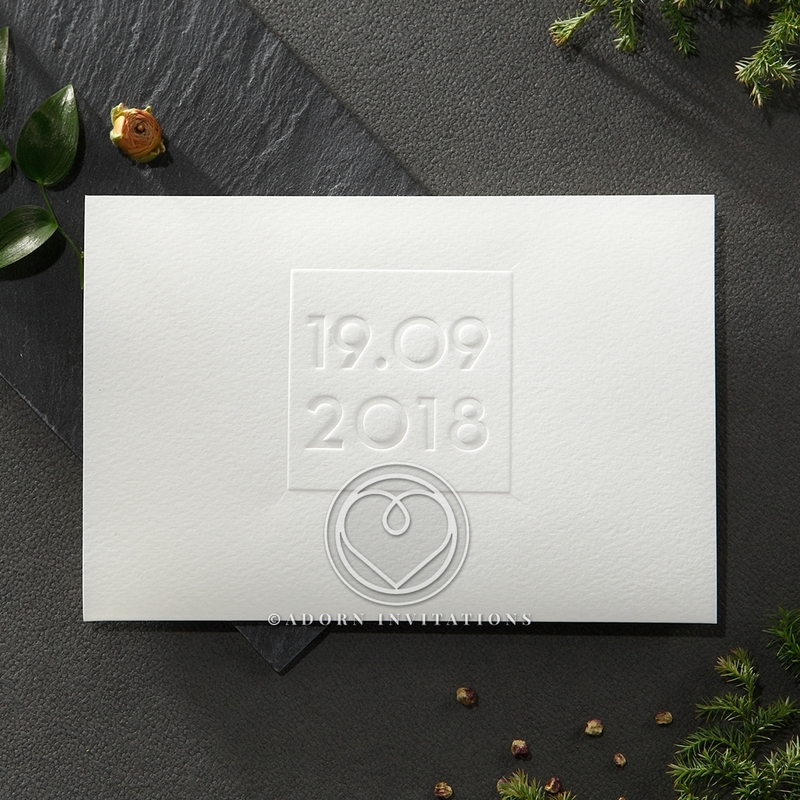 Well suited for minimalist and modern styled events, this invite features an embossed date on the front enhancing the white on white inspiration of the design. 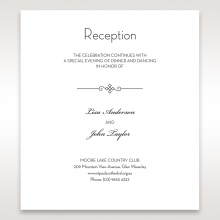 Bold polished black ink is used for the invite information, while the textured stock used for the card balances the feel for a captivating look. 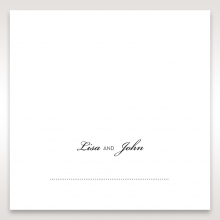 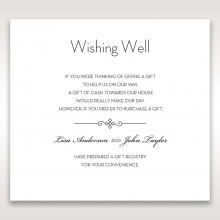 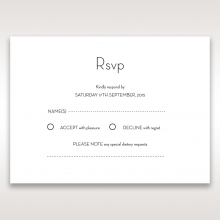 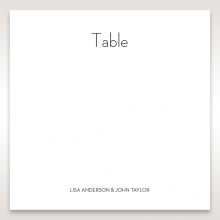 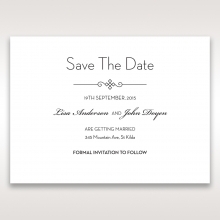 Enclosure cards are also available for this invitation and they echo the simple beauty and intimate feel of the invite to maintain sheer elegance and understated charm.